DOWNTOWN CLEVELAND, OH (WOIO) - Saturday is Johnny Cash Day at the Rock Hall. Cash was inducted into the Rock and Roll Hall of Fame in 1992. His youngest daughter, Tara Cash Schwoebel, will participate in the celebration, signing copies of her new book Recollections by J.R. Cash: Childhood Memories of Johnny Cash. 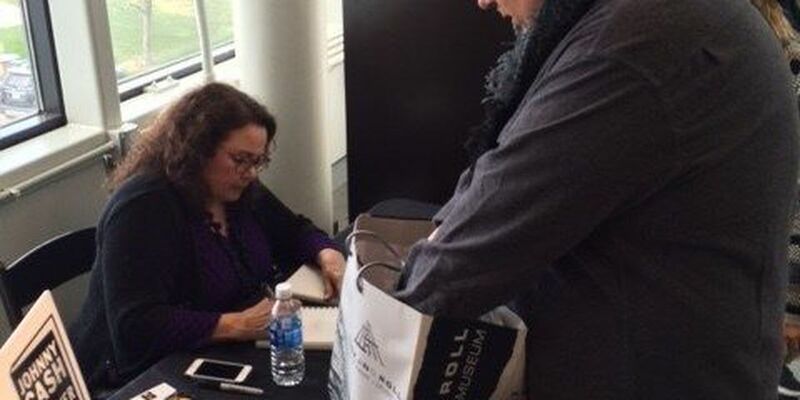 She will sign from 2:30 to 4 p.m.
A general admission ticket gets fans into a panel with the Cash family historian. The event also features live music and archival videos.